We look forward to seeing all of you ready to party this week…indeed it is summer madness in LA…Unique74 style! $3 Stella Artois and $4 Cocktails! Super Good Vibes! Seriously Gorgeous Venue! feeling hot and bothered on a summer nite? we have the perfect remedy for you as we proceed to give what you need on a Thursday nite…beautiful beats and beautiful people await.. THIS WEEK we are proud to have to the RHYTHM SECTION Collective join us in a nite of Hip Hop, Soul, Funk, Afro Beat & other aural delights..
8.5 ::THE RETURN OF T LOVE + THE JAZZ LIBERATORZ PICKI PEOPLE RECORD RELEASE PARTY +very special guest appearances!!! The 2nd Annual “Make It Funky” Music & Arts Festival this Summer! Connie Price and the Keystones featuring Wildchild from The Lootpack, MC Daakir/Soup of Jurassic 5 & Percee P! July’s just about over. August is nearly upon us. Summer’s in full swing. Mark the conclusion of one lovely month and the birth and promise of the next with fabulous music, friends & libations. Rick Singer and I will be your sound designers. Admission is free. We’ll be spinning an assorted mix of tracks thoughtfully selected to engineer the ideal tones into your summer night. Drink specials to help you wet your whistle and late-night cuisine if you’re keen on sinking your teeth into something tasty. 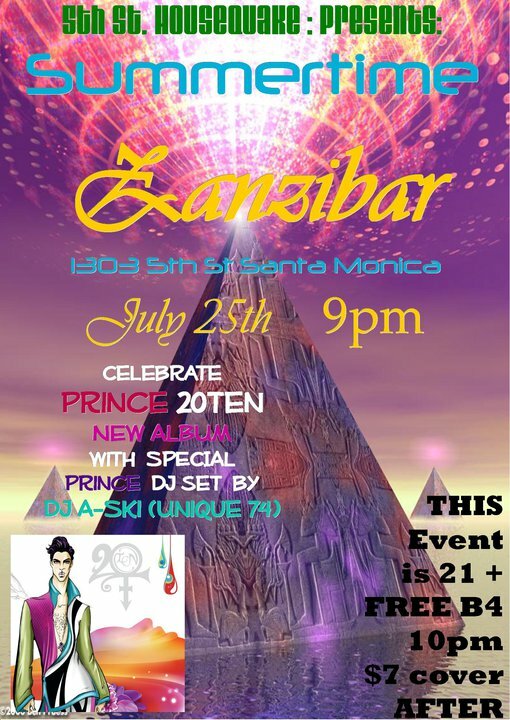 Join us there in the presence of grand company on Saturday, July 31st from 10PM on. JAZZ TONIC | OPENING NIGHT! 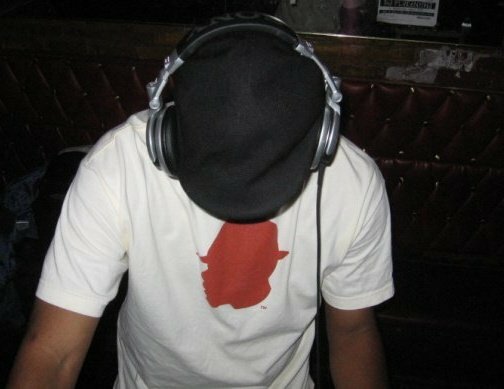 Starting Wednesday, July 21st, 2010 Mixmaster Massey is Launching a new weekly night of sophisticated fun in Downtown LA. 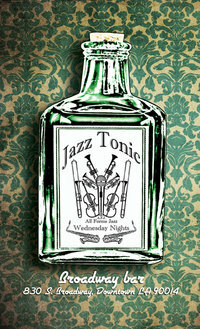 “Jazz Tonic” is a night of jazz in all it’s forms. Each week we will try to bring you talented Jazz Musicians and occasionally full Jazzy Groups to perform alone and with the DJ and Poet/MC. This is where the magic happens! Thankfully if you can’t make it in person, the whole night will be streamed live on the web through Astronaut Disco on U-Stream. Both audio and video from the night will be broadcast live and available later for viewing. Below is the link. Additional to all of this we will also have “Jazz Inspired” projections going the entire evening curated by different visual artists and personalities. Special thanks to Benjiman and his outfit for helping out with the video! As if this weren’t enough the drink specials are all night long and are AMAZING! The Broadway Bar itself is a gorgeous venue, a bit of a time machine taking you back to a Los Angeles that disappeared long ago. Deep rich wallpaper and wood, a unique and beautiful bar, Dark, moody lighting, even the Upholstery is cool. You are going to love this place. All bookings are subject to change including adding unannounced special guests! Live Jazz from elements of the Handroid’s band. 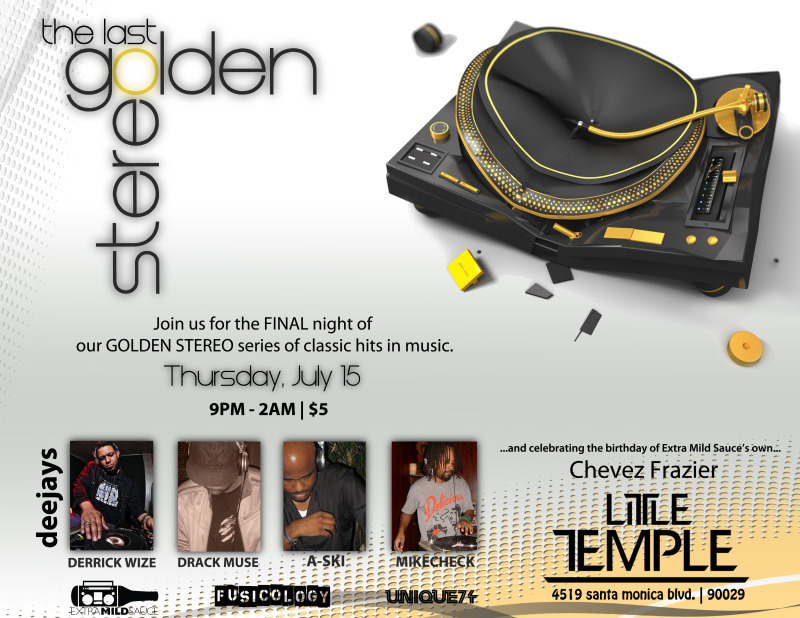 a very special THANK YOU to everyone who attended the finale of GOLDEN STEREO last THURSDAY..another EPIC moment!! a huge THANK YOU and GRATITUDE to the mighty EXTRA MILD SAUCE family!!! This week the party dont stop that body rock!! STAY TUNED FOR STEREOLOVE meets RHYTHM SECTION next THURSDAY!! full length release is slated for August!! yes the time has come folks..long time coming..stay tuned.. Guess who’s coming to LA on JULY 20th? That’s right, GRAMMY NOMINATED artists THE FOREIGN EXCHANGE!! I had a chance to catch up with NICOLAY and PHONTE to talk about evertything from their GRAMMY experiece to A TRIBE CALLED QUEST!! 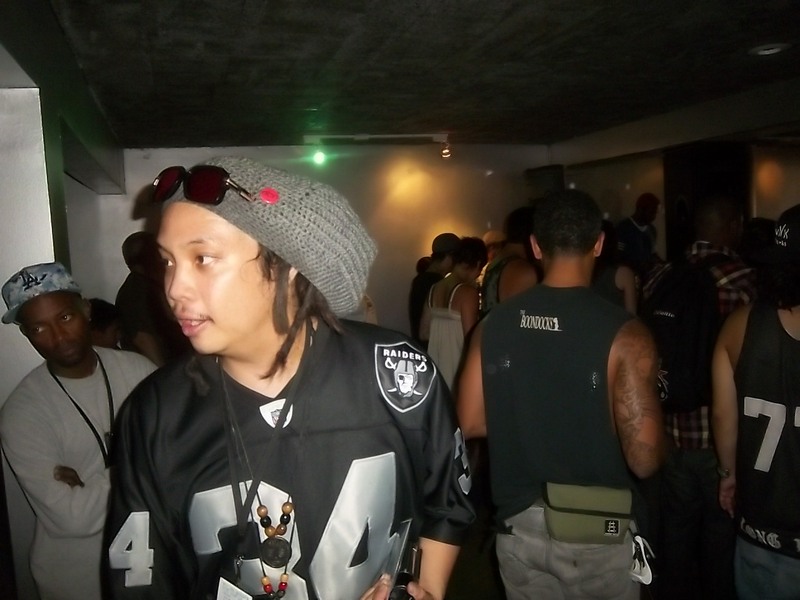 A-Ski/Unique74: Coming from the Grammy haze, what was that whole experience like? There are very artist of your caliber that has the privilege to embrace such an experience? What was that like for you guys? 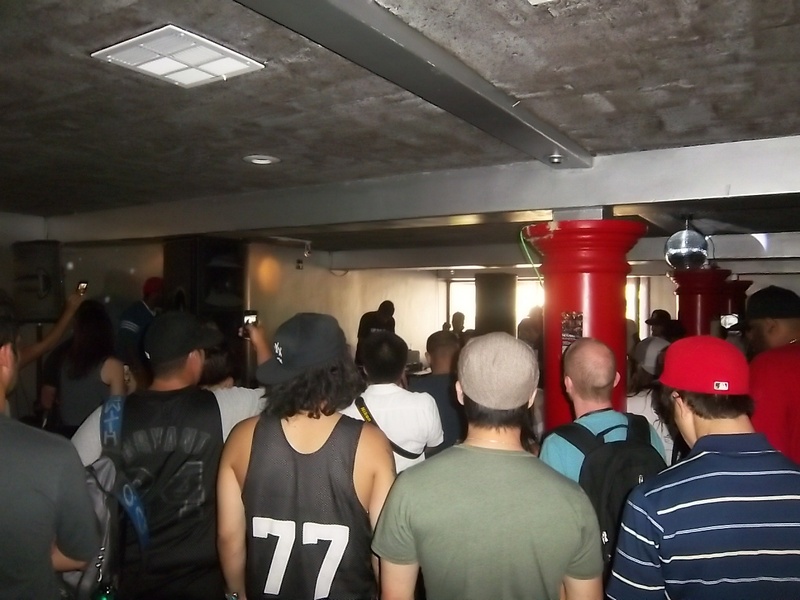 PHONTE: It was an experience that we were very thankful and happy for. In terms of what it changed, it gave us a little more visibility in some regard. Overall, you have to keep working and its nothing to sit back and say ahhhh we made it. It gave us fuel to reach for more and to go even harder. That was the motivation for us to really go hard with FOREIGN EXCHANGE MUSIC and not just us but to build for our whole team as well. 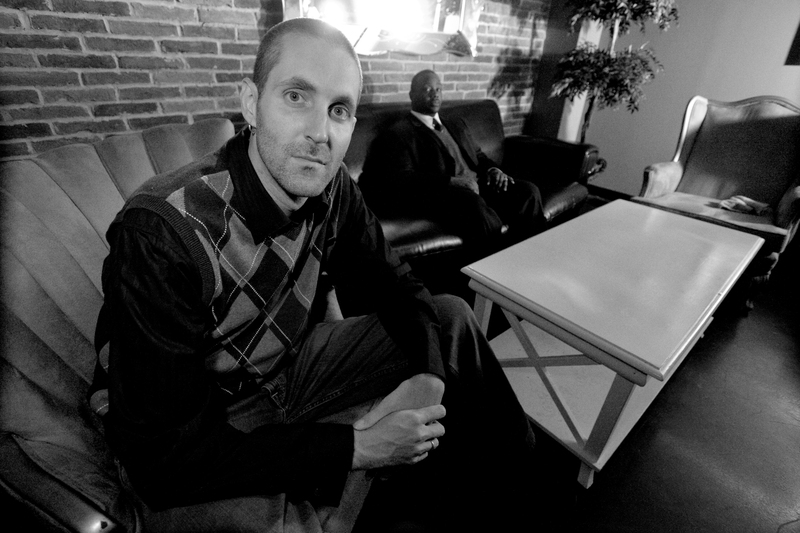 NICOLAY: I feel the same; I was very honored and humbled to be part of the Grammy situation. However, to be very honest with you, by the time time that we found out that we had not won we were ready to go home. It is a great honor and recognition of the industry, it is recognition that people around you understand your parents, brothers, family, etc they will understand and it is a very tangible recognition. It is cool to be there and see it but I’m always happy to come back and go back to work. A-Ski/Unique74: Knowing your background and where you guys come from I’m sure the LA /Hollywood hoopla experience was a little over the top, do think the Grammy experience set a precedent of what’s to come in the tone of your music? PHONTE: I don’t think it set a precedent of the music, it aint like we going to make a Daykeeper pt 2 (everybody laughs). We don’t believe in repeating ourselves just to chase something, it was more of a motivation that served as validation to let me and Nic know that out hearts and heads were in the right place in making the record we wanted to hear and it paid off. That was the lesson learned from the Grammy situation, it was to follow your heart, and nine times out of ten, you will be lead to the right direction. A-Ski/Unique74: Speaking of which, how is the reception of YAZARAH’s debut release? It is a great album! PHONTE: Thank you so much man! A-Ski/Unique74: No doubt! What is the response that you are getting across the board? NICOLAY: It has been good, the reviews have been good and people that visit out site and check out all of those. Folks respond to the songs when we play out live, it has been great, and we will continue to put her on the map in coming months. PHONTE: We will be doing the video for (Yahzrah) “Cry Over You,” we getting that out for August as an end of the Summer single. A-Ski/Unique74: We will be looking forward to that! Let me ask you something as a DJ speaking, how is the response you are getting from Mp3’s vs. Vinyl? 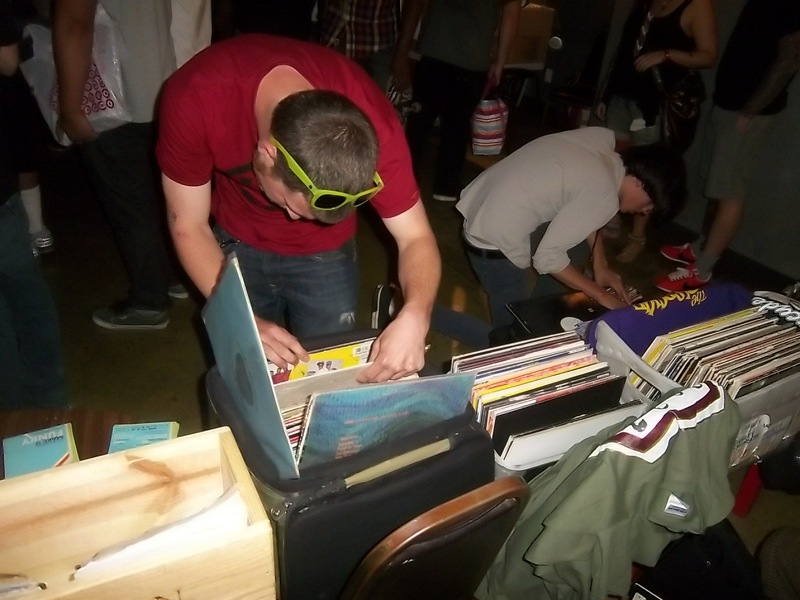 Are you still having success in fans/DJ’s buying vinyl pieces of your new releases? 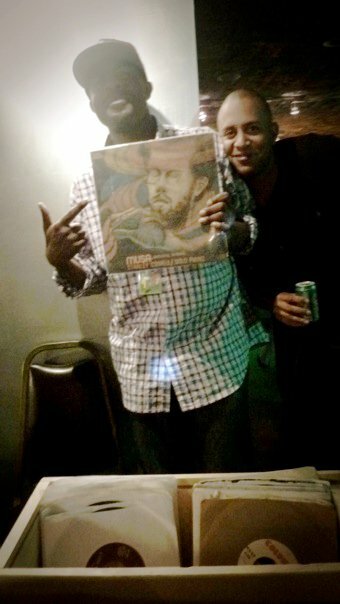 PHONTE: We do and I know a lot of the Dj cats love vinyl. I personally don’t have as much affinity to vinyl as much as a DJ would have. But I do love the sound and I do realize and many ways it is superior to the sound of MP3’s, it’s a much thicker and warmer sound. 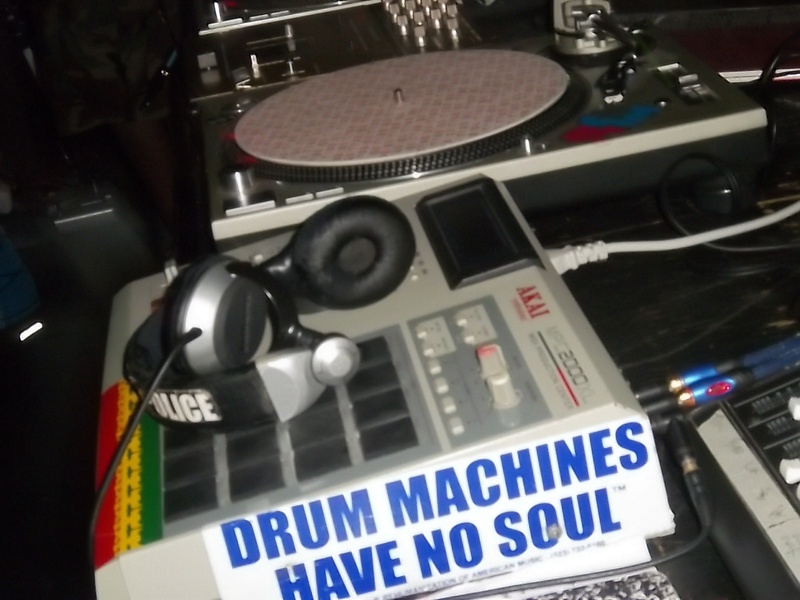 However, for us in many ways for our type of music doing vinyl has not been very practical or very profitable. We pressed up double vinyl for the “Leave It All Behind” album, double vinyl gatefold limited edition, we only pressed up 1,000 copies and they all sold out but it was a slow sell. At a certain point, it kind of becomes to point like yeah I want to keep putting physical product out to the world and support DJ culture but you also have to keep your eye on the bottom line. When it doesn’t become profitable anymore, when it starts hurting and dipping into other thangs, it’s kind of like hold up.. Im all for the all but its got to make sense. A-Ski/Unique74: Now I’m sure you guys are very familiar with the whole “Jerk/Skinny Jeans” culture, which interestingly enough taking the younger generation by storm. I’m curious to know, when you go into the lab are thinking of the next generation or are you aiming for whoever is open and receptive to the music? NICOLAY: Pretty much the latter man, I think that we are definitely conscious of what our fans like to hear. That does not mean that we like to cater to exactly that but we are definitely aware of it. While we make music, I am not thinking about any of that. My man focus is to make music that I like to personally hear. I think that we present people the best material that we can make and at that point, it is up to them to really decide from there. However, while we are making it (music) I am not sure we are aware of all that. A-Ski/Unique74: Who do you listen to that inspires you to go to the lab? What sparks you creatively? PHONTE: for me from a production standpoint, it comes from cats like JAZZANOVA, I really like of the newer cats that is out now. I have so much music that I listen to and kind of like songs, albums and groups, etc. I listen to so much but a lot if it comes from the HOUSE and DANCE stuff from a production standpoint. I am big HOUSE and DANCE music fan, from a songwriting standpoint for me it comes from the classic singer songwriters such as CAROLE KING; I am a huge TODD RUNDGREN fan. For this new album, I test for a lot of the songs on will it stand alone on a piano & vocal or just guitar & vocal. To me that has been an inspiration just listening to a lot of the older stuff, picking it apart seeing why it works, what makes a great lyric, how to tell a story and a lot of the classic 70’s material really seems to do that. There are many cats that do that now, I am a big ERIC ROBESON fan, and he’s good at songwriting and telling stories. 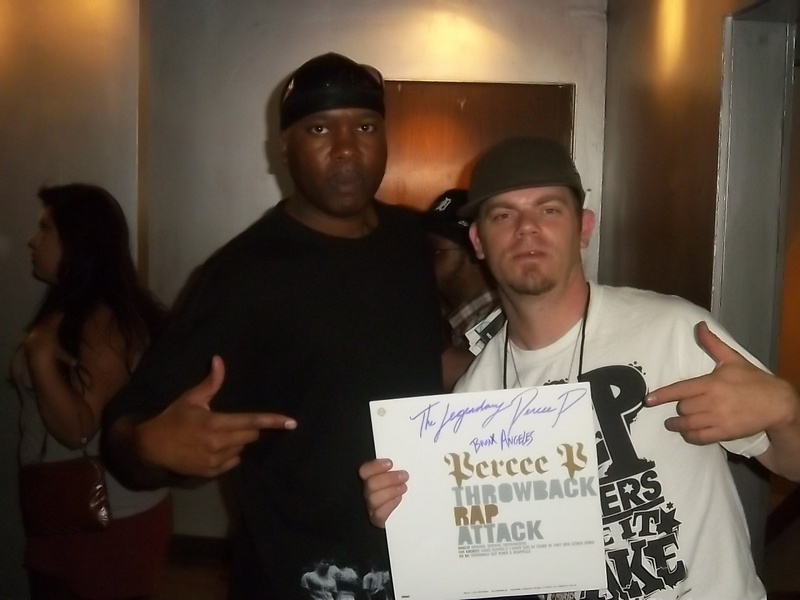 A-Ski/Unique74: It is a refreshing thing to know, because there is a stigma that Hip Hop fans and artists just listen to Hip Hop and that’s it. 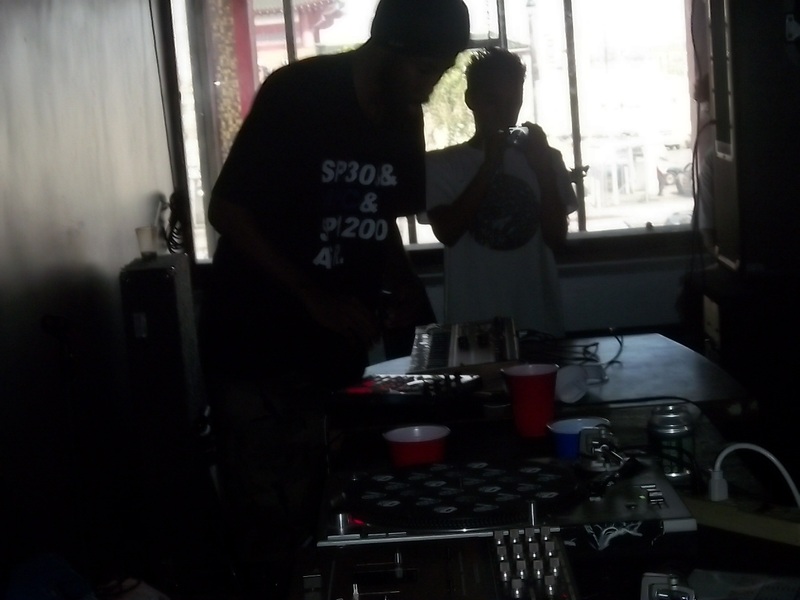 Hip Hop is a gumbo of many different genres. PHONTE: Yeah, for me Hip Hop was a gateway that got me into all that stuff. I would listen to a Tribe (A TRIBE CALLED QUEST) album and see that they sampled GRANT GREEN and then I would go to my homeboy’s house and go through his daddy’s collection and he had the GRANT GREEN record. It started looking to the old stuff for samples but after while you just start listening to them and be like damn this stuff is pretty dope. A-Ski/Unique74: what can we expect on “Authenticity” (TFE’s upcoming release)? What are the highlights? You have to tell us everything, we strongly believe in the element of surprise but what are the elements that we can look for that is different from the last album? NICOLAY: Without wanting to say a whole lot, we are still in the finishing stages but in general, it is a little bit more up-tempo than the material we did before. Its really an album with a lot of drive and urgency into it, I think once again its a big step for us to make and a logical next progression from what we did before. 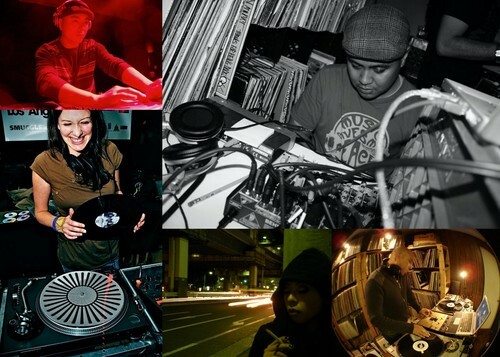 A-Ski/Unique74: So Nic, what’s up with that remix album/compilation? 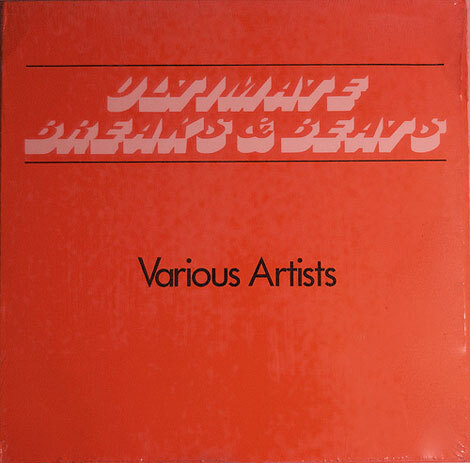 You are putting out remixes like left and right man; you got a lot of stuff out there, any plans? NICOLAY: Well you know quite honesty, everything has gone into shaping the whole FOREIGN EXCHANGE movement. When it comes to the other stuff, I just really try to put stuff out there by the website to bring it directly to people. A lot of things use to go by labels and managers, a lot of the kind of stuff is starting to slowly disappear and I really like being really direct to the people that listen to our stuff by putting things on the net. A-Ski/Unique74: Sweet, sweet! 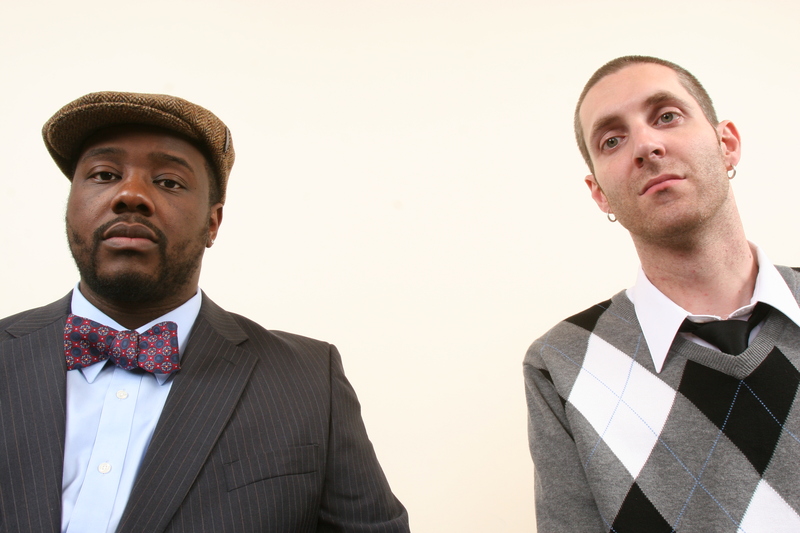 Now Phonte out of curiosity can we expect a LITTLE BROTHER record anytime at some point this year? 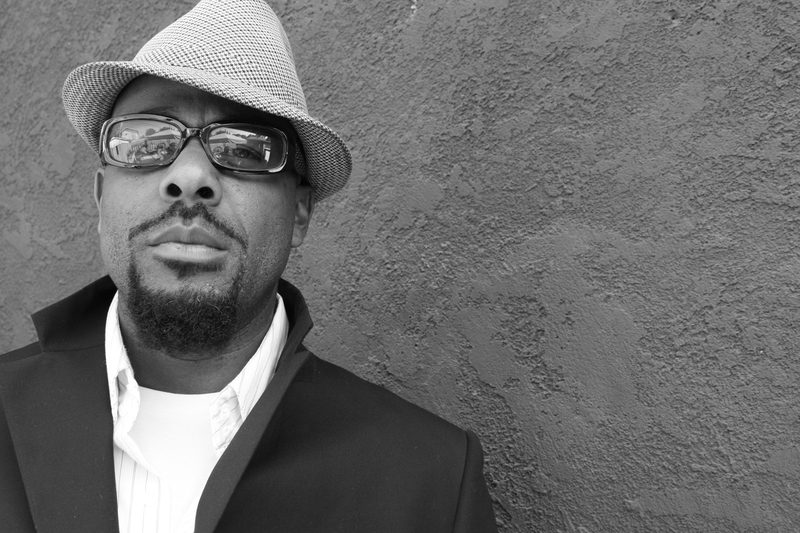 PHONTE: Naw…won’t be no LITTLE BROTHER record. Me and POOH are pretty much done with LITTLE BROTHER, we still do music together but in terms of LITTLE BROTHER and that brand…we are pretty much done with it. Basically, that’s it…He’s on the ZO album “SUNSTORM” which should be out on the 27th and he’s on the “This Could Be The Night” single, he has a project coming out with a cat named ROC C out of LA and that album is called “THE YOUNG AMERICAN”, that will be out on (he pauses)…I don’t want to give a date yall (everybody laughs). A-Ski/Unique74: No pressure, we know how it is. PHONTE: But also he is doing his solo record and I am on his solo record, I am doing a solo record next year and he will be on that. We will continue to work together, that’s still my brother and that’s my man until the end. No beef or nothing crazy, but just with LITTLE BROTHER we pretty much said what we had to say on that front and we decided to move on. A-Ski/Unique74: we got a running joke and we said man..with all the stuff that’s out on the market..we realize PERCY is a parody but cats are out there serious and its no parody. So it you put out PERCY, some folks would believe that he is a real artist. PHONTE: Dude for real, I have told people this so many times. I hated that I had to kill the character PERCY; it was something that I enjoyed doing and the s—t was fun. It was a lot of fun, the songs I wrote as PERCY the s—t was hilarious to me. However, if there was a way that I could continue, I will put this out there…I would bring PERCY back if I could do it as a cartoon. Because I feel like when you do it as a cartoon, there is some level of distance between you and the character. It is almost like doing voice over work; I am the person who does the voice for BART SIMPSON (NANCY CARTWRIGHT) does not walk out in public and say, “hey it’s BART SIMPSON!” (Everybody laughs) I would love to do it if NIC and me do music for the cartoon and bring the team to make a PERCY cartoon, that would be hilarious to and I would do it. That way there would be some distance, but for me to put on the wig going out, that turns into some ANDY KAUFMAN “Latka” kind of stuff, I had to chill on that. A-Ski/Unique74: I am curious, are you going to be doing anything with 9th WONDER in the near future? 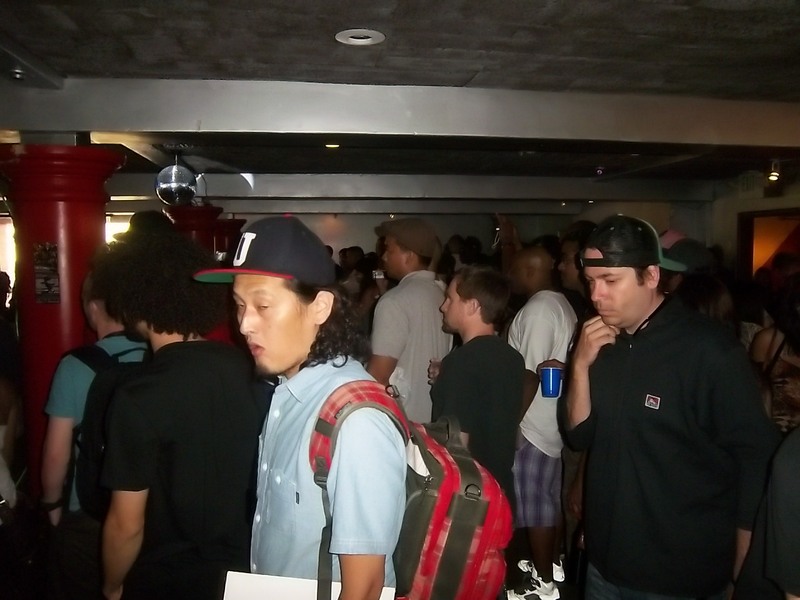 PHONTE: Naw, that isn’t happening. A-Ski/Unique74: For the West Coast dates, where are you going to be heading? 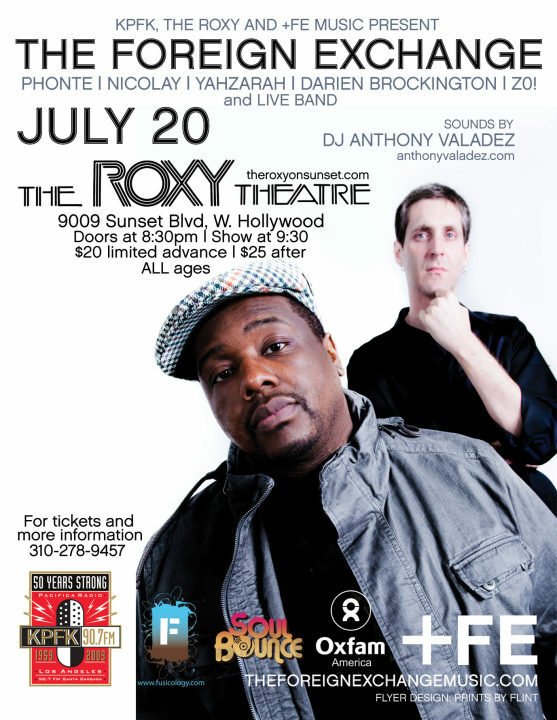 PHONTE: We are coming up on the 20th; we will be at THE ROXY (HOLLYWOOD) along with YAZARAH, DARIEN BROCKINGTON, and ZO. On the 21st we will be in PORTLAND, we do the SUNDAY LOUNGE in PORTLAND. 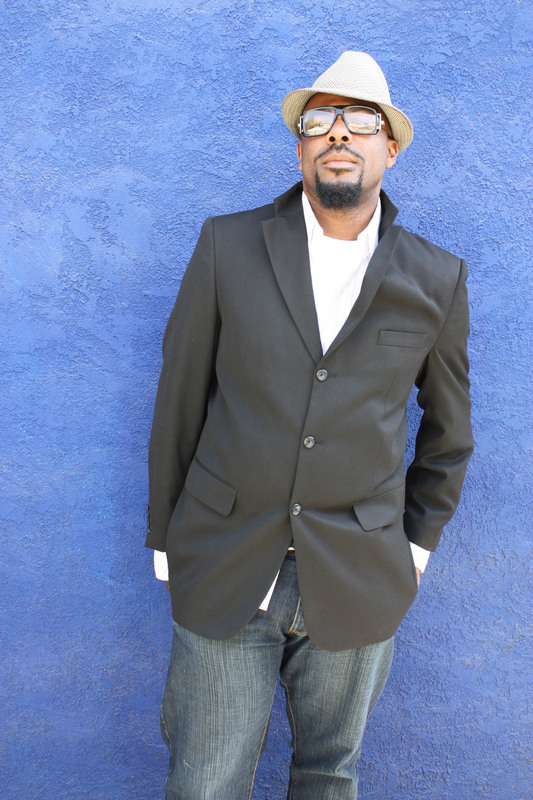 22nd and 23rd we will be in SAN FRANCISCO at YOSHI’S. Then we come home to put the final changes on the album. A-Ski/Unique74: Are you going to be covering down SOUTH and back EAST as well? PHONTE: We trying to get down SOUTH, we have been trying to get to TEXAS for the past two years. I do not know what is going on with the promoters in TEXAS. We have been trying to get there forever. A-Ski/Unique74: Ultimately, on the upcoming release what would you like the listener to leave with in the final analysis (if you will)? NICOLAY: One of the things that comes to mind that it always pays off to stay true to yourself and be yourself. Define what it is that you are best at and I think that’s definitely theme for the album and us as artists’ altogether. on VIBES and STUFF RADIO!! !